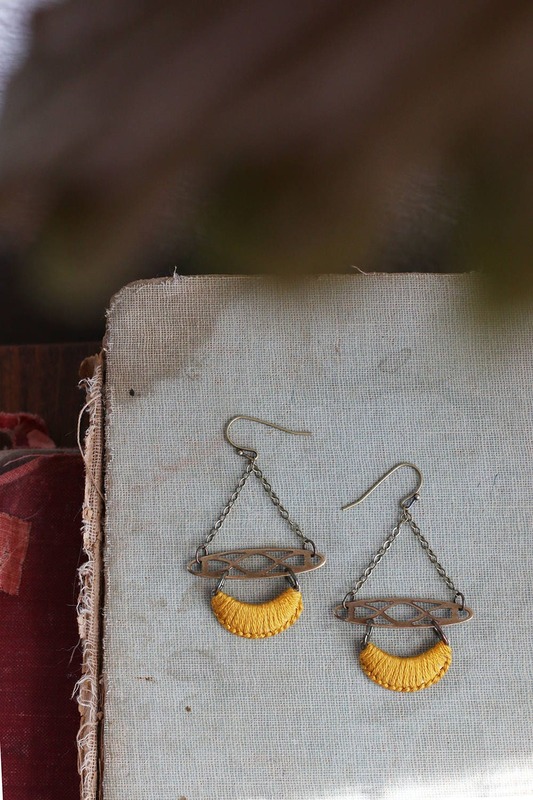 A little crescent moon is wrapped and knotted with cotton embroidery thread and connected to a beautiful antique brass stamping. 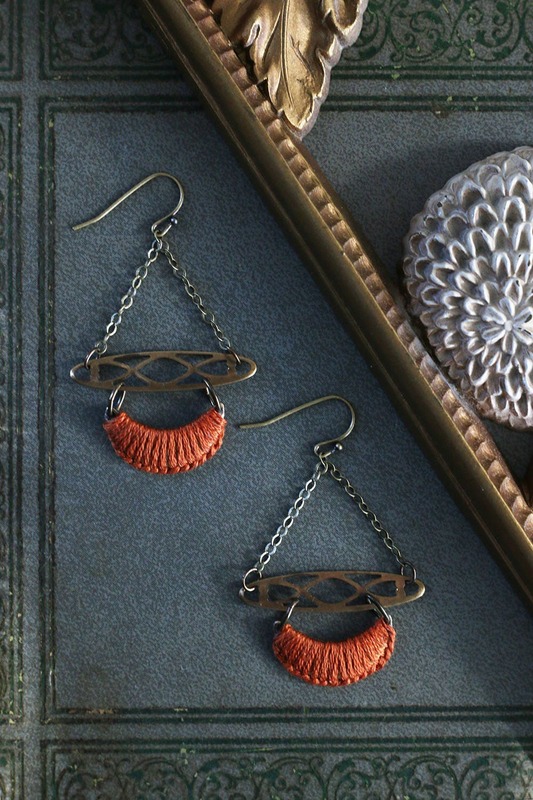 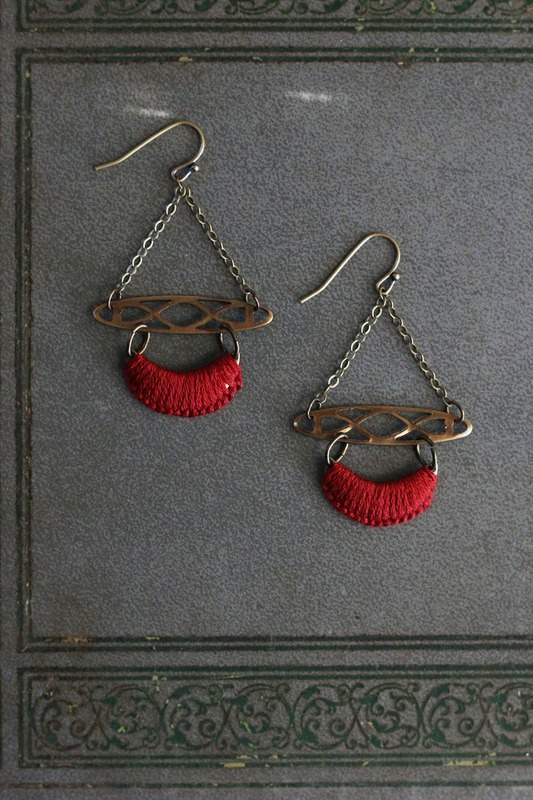 These earrings measure 2.25 inches from the top of the oxidized brass earring hook to the bottom of the crescent. 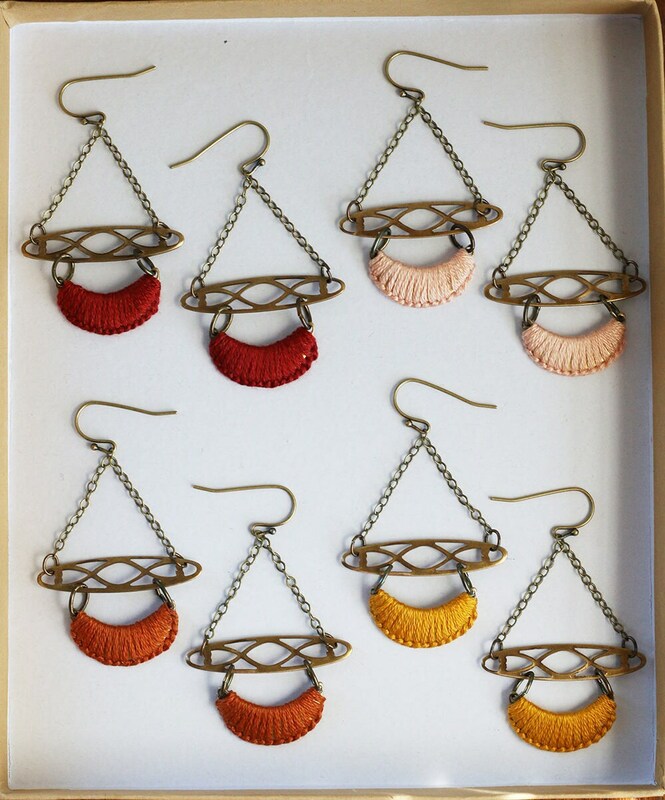 They are currently available in rust red, blush pink, burnt orange, and mustard yellow. 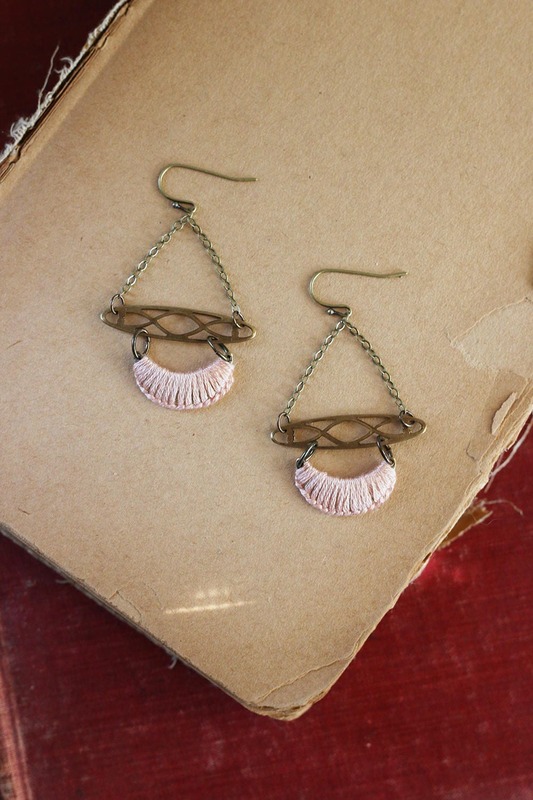 If you don't see the color you are looking for, don't hesitate to contact me with your request and I'll see what I can do.